Stobart Barristers – the direct access service run by the famous logistics company – has given a strong indication that it will bid for the new criminal legal aid contracts the government is set to offer under price competitive tendering. While not confirming it would be bidding, Trevor Howarth, group legal director at the Stobart Group and founder of Stobart Barristers, told Legal Futures that his business is “in line with what the government is thinking”. He said the current model – with large numbers of firms doing identical work while fees are falling – was “unsustainable”. Even if they start to merge, that will not wipe out “the legacy of debt” most carry. He described criminal law practices as “very wounded animals ready to die”. 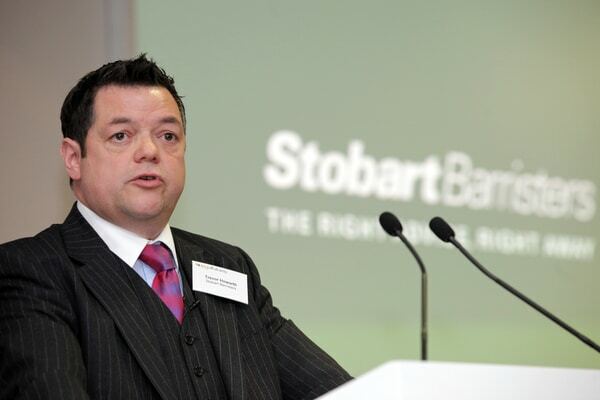 The Stobart model, which connects consumers with barristers so that they do not have to pay for the overheads associated with law firms, would allow criminal legal aid work to be done profitably at the proposed rates, Mr Howarth indicated. The Legal Aid Agency would contract with Stobart Barristers to find the right barrister on a case-by-case basis, he added. Though he acknowledged that some overheads would be introduced at his end, these would be “switched on as and when we need them”, rather than being there permanently. Mr Howarth also said he could extend his service to solicitor-advocates who left law firms and operated as self-employed advocates. Mr Howarth has a background in criminal law work, dating back to preparing cases for the pre-Crown Prosecution Service Prosecuting Solicitors’ Office and working for several law firms, including as practice manager for the firm of celebrity solicitor Nick Freeman. Mr Howarth said the “phenomenal uptake of Stobart Barristers is purely because of the brand” – since setting up nearly a year ago, it has worked for PLCs and local authorities as well as consumers. The Govt are not tendering for advocacy. Mr Howarth wants to read FailingGrayling’s proposals. Contracts are for litigation and require bidders to have solicitors and accredited reps available to cover Duty Solicitor commitments at police stations and Magistrates Courts. All the ones i have spoken too would rather clean out the sewers than work for Eddie Stobart or Tesco. This” rent a barrister scheme” where Stobarts take a fat cut from the barrister’s (paltry) fees, for little or no effort, is not suited to PCT and will fail. Oh, and i think the Directors have to pass a fit and proper person test and the Organisation has to have Lexcel or SQM. If i am wrong, watch out for nothing more than “Acceptable” standards of advocacy in our courts, with Counsel in polyester gowns and plastic wigs.. Guilty pleas will soar and so will miscarriages of justice. How would your barristers deal with clients in the police station at 4am? And who briefs your Counsel. How dare you say the Chairman of CBA is out of touch? Have you checked his followers? Nonsense about barristers and silks joining them. Solicitors and barristers are 100% united against PCT and will neither bid for contracts nor work on an employed or self-employed basis for any ‘successful’ bidder. They will not participate in a destroyed justice system. The CBA is doing a great job. It has 3000 followers on twitter and I don’t see any dissent there. This confirms the suspicions the criminal lawyers have. The aim of the legal aid proposals is to achieve a cut-price service with the profits going to big business while the customer – who might very well be innocent – is deprived of choice and receives a service which barely scrapes adequate. Mr Howarth’s comments about “wounded animals waiting to die” are distasteful and insensitve in the extreme to the thousands upon thousands of staff at businesses up and down the country who face redundancy. He should be ashamed. He has in the past benefited from a system in which he could choose his solicitor and instruct leading counsel (one presumes privately) to defend himself when he was accused of a serious crime against justice (and of which I of course add he was acquitted, with the courts saying he remained a man of good character). Of all people he should understand the value of choice, quality representation, and justice, and yet he supports taking all those rights away from those who do not have the privileges he had. word amongst the profession is that if companies like stobbarts obtain contracts then no solicitor/barrister will work for them……then what???? You are prepared to make a loss until all the competition goes and then hike the prices up you mean . By agreeing to participate in this sham you are undermining one of our countries greatest achievements – the justice system will never recover an the fiasco will cost the taxpayer billions in court time and the system failure. This is effectively a clerking system for direct access publicly funded criminal work. The two main problems with the idea are 1. barristers cannot litigate on behalf of direct access clients so Stobart would have to employ solicitors to do this work which would mean incurring overhead costs and 2. barristers should not represent defendants at police stations that they are going to represent at trial in case of s.34 inferences which will mean Stobart will have to pay for police station representatives, also incurring overhead costs. So how is this system going to differ from the traditional firm model in reality? Help us to fight the goverment decimating our criminal defence system by joining us in refusing to bid for contracts.This is the time to resist. Simple logic. Reduce current supplier base equals little or no competition. 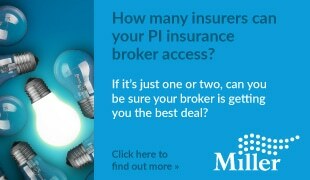 This will distort the market handing power over to those who manage to keep a hold of the contracts. How is that value for money when in the long run the tax payer will be held to ransom. Just look at the interpreter fiasco…. Well, if there are so ‘many barristers and QC’s joining’ Stobart Barristers, name them Mr. Howarth. Given the united front against PCT by the Bar, this must surely mean that he would not be able to name even one…..
Come on then….. silence us with a simple list. This is unbelievable. Having been a legal manager for many years I question the government’s decision should they go ahead with this. A barrister cannot act without the soicitor’s management of the case. A barrister would not go out to a police station at 2am! This government needs a reality check before considering this option. Mr stobart needs to stick to driving lorries and trains! II. Many criminal barristers (not I) have joined his panel. HCAs have been doing the bar’s work for years . Eddie Stobart is simply, as many solicitor advocates did, taking advantage of a market opportunity. I criticise neither, but find it a bit rich that solicitors are now decrying the competition. Perhaps all should take heart that from judging from Mr Howarth’s comments he has not properly read ( or does not fully understand ) the consultation .He could not possibly service a contract in the manner he describes . I suppose they could potentialy bid if they sort out a reasonable model and get their skates on – they will need to be regulated to provide legal services ( which they are currently not ) I would also envisage that it will be Graylings worst nightmare that in July 2014 the front page story is that legal defence services have been handed over to Eddie Stobart . In fairness they might provide a great service , who can say , but the public will read no further than the headline – and it will make the MoJ a laughing stock …….. Stobart is not what the MoJ want to see – and seeing Mr Howarths hat in their rather unpopular ring may make them think twice.